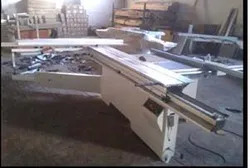 We, Woodmaster (india) Machines Pvt Ltd, started in the years 2004, are one of the foremost manufacturers and exporters an extensive array of Wood Working Machine. Our offered range consists of best grade Panel Saw, Spindle Moulder, Banding Machine, Mortiser Machine, Cold Press, Dust Collector, Thickness Planner, Saw Cutter, Thermo Roller Press, Profile Trimmer, Boring Machine. To manufacturing these products, our professionals use modern machines. In addition to this, our products are appreciated for their features like high performance, easy to use, attractive functions, and long service life. We have an experienced team of professionals. Their knowledge had led us to mark a good name in this competitive market. With the help of our latest technology based manufacturing unit, we are manufacturing high-quality products. Working under the specification laid by the industry and adopting ethical business policies has drafted the way for us to reach the pinnacle of success. In addition to this, our exporting countries are Europe, Australia, Nepal, Dubai. Our mentor, Mr. Iqbal Singh, has taken the company to new heights of success on the basis of her vast industry knowledge and sharp business acumen. Her able guidance helps teams to understand patrons need and manufacture as per their requirements. We have been well recognized for our service for last 5 decades and have received ISO 9001:2000 certificate for our quality service. We are well recognized manufacturers and suppliers of an exotic range of wood working machines. We ensure of smooth and highly efficient functioning of our manufacturing machinery and other allied equipments to our large chain of customers. All these machines are based on advanced technologies and assist us in faster production of qualitative. Our team, a valuable asset of our company, works in coordination to each other to develop incomparable range garlanded with premium functioning & exquisite designs. The combined support of our team of experts & excellent state-of-art infrastructure enable us to meet requirement of our clients. Our main motto is to establish sound relation with our clients by facilitating a range of wood working machines. Experienced employees focus on customer oriented service and hence keep abreast of latest technologies, designs to deliver the best quality of machines. Our dedication to deliver flawless range of machines assist us to enhance our goodwill among globe based clients. We are also conferred with ISO 9001:2000 certification because of our service. Since the inception of our business, we cater to large chunk of clients who are based in different countries viz. Europe, Australia, Nepal, Dubai etc. WOODMASTER is an ISO 9001:2000-certified global manufacturing company. Mr Iqbal Singh became President and CEO of WOODMASTER in August 1995. Prior to assuming the position, he worked closely with his father and grand father. Since, then WOODMASTER has steadily grown both in physical size and in manpower. Currently, the manufacturing facility devotes 60,044sq.ft. to its production area, and 3,028sq.ft. to office space. The employee base now consists of 113 full-time employees. 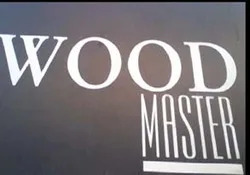 WOODMASTER designs manufactures high-quality, innovative machines to satisfy our costomers.This is achieved by providing quality productions and sevices that meet or exceed customer expectations. WOODMASTER is dedicated to the creation of innovative machines that incease the effectiveness and safety of operators. We test our products both locally and acros India and all our products are MADE IN INDIA. Safe, sound and timely delivery of the products and offering our best after sales service. We comprise of a conscious team of proficient and dedicated employees who have been working towards our company’s goal of excelling in manufacturing gamut of wood making machines. Our manpower consists of engineers, quality analysts, technicians and others who ensure of delivering wide range of manufactured machines. 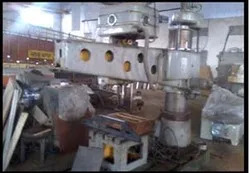 Premium quality raw materials used to manufacture qualitative machines, are sourced from reliable source. We present a distinguished range of high quality & cost effective woodworking tools which are incorporated with sophisticated designs and engineering to give utmost satisfaction to clients. Leveraging on their distinct features we fetch satisfaction to requirements of clients based in Europe, Australia, Nepal, Dubai etc. Panel Saw, Spindle Moulder, Banding Machine, Mortiser Machine, Cold Press, Dust Collector, Thickness Planner, Saw Cutter, Thermo Roller Press, Profile Trimmer, Boring Machine. With a customer-centric approach, we have aimed to deliver best to our comprehensive clients. Our outstanding performance in manufacturing woodworking machines has resulted to achieve ISO 9001:2000 certificate.